T.E. Casson is Thomas Edmund Casson (1883-1960) who was born (and died) in the Ulverston area. 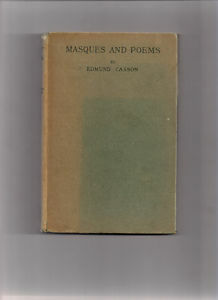 He can be found contributing to scholarly literary magazines from 1909 onwards, and in 1914, he had a collection of poems (Masques and Poems) published. He had a further collection of poems published in 1930 (Lord Derwentwater’s fate and other poems), a collection in 1938, simply called Poems, and George Fox, a poem in twelve books in 1947. All four appeared under the name Edmund Casson. Under the name Thomas Edmund Casson, he had published, in 1927, A Century of Roundels, on the centenary of the Oxford-Cambridge cricket match (he seems to have been an Oxford graduate, given the journals in which he is published). However, he does also publish his poems (e.g. 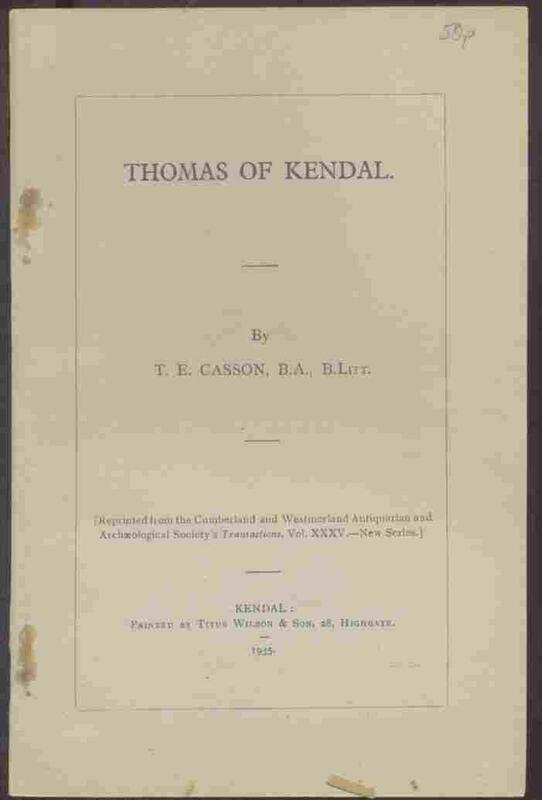 in Poetry Review) as T.E.Casson, and he also publishes a book on Thomas of Kendal under this name in 1935. All his books are published in Kendal. He enters the competitions weekly for the first year of the WR without success, but with regular commendations. You can read a carol (music by Ivor Gurney) by him here and a poem or extract from one (one certainly frequently cited in Cumbrian guides) here.